Derby Ghost Walk - The Restless Dead. 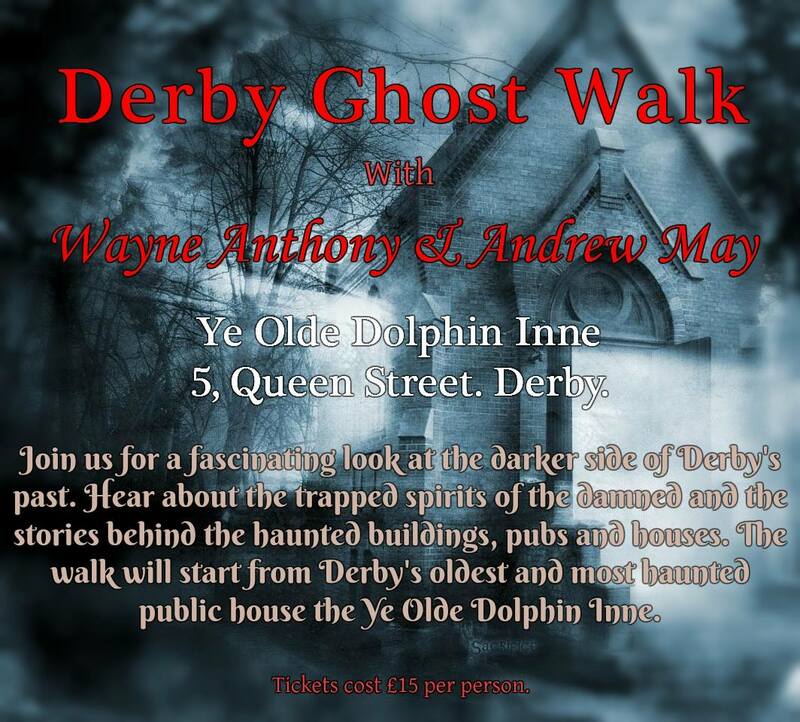 We are pleased to announce a special ghost walk with Derby's foremost authority on ghosts and the supernatural, Wayne Anthony. Wayne has written numerous books on ghosts and the supernatural including Ghosts of Derby, Myths, Magic and Folklore of Derby, Derbyshire Ghosts, Haunted Derbyshire and Ghosts of the Peak District but to name a few. Wayne will be accompanied by Andrew May (psychic medium and historian), together they will take you on a tour of some of the most haunted places in the city of Derby including public houses, historical buildings, the Cathedral Quarter as well as other little known places. Learn about the history, ghosts, myths magic and folklore of the city of Derby. The walk will begin at the Ye Olde Dolphin Inne (Derby's oldest and most haunted public house) at 7.30pm. There will be an intermediate break after an hour for refreshments before commencing the second half of the walk.